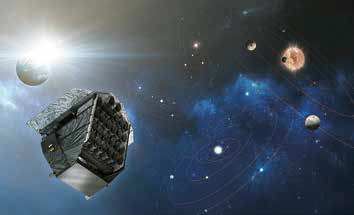 Planetary Transits and Oscillations of stars (PLATO) is the name of the third M(edium) class mission in ESA’s Cosmic Vision program, which involves observing exoplanets — OHB System AG has been selected by ESA as the industrial Pime to negotiate the implementation of the satellite. CEO Marco Fuchs said that the company is grateful to the responsible people at ESA for selecting OHB’s proposal for the PLATO scientific research satellite and for trusting the firm’s expertise and project management capabilities. For the first time, the company will be responsible for developing and assembling a scientific satellite for ESA — such an achievement allows them to add a further important chapter in OHB System AG’s success story. At the same time, the company will be supported by the outstanding members of the industrial core team with whom they have been working for years in other areas, in a spirit of mutual trust. Operating at a distance of 1.5 million kilometers from the Earth, this two ton satellite will literally be “discovering new worlds”. Antonio Garcia, the technical manager for the PLATO satellite, explained that this ambitious mission is designed to take exo-planetary science a large step forward. In order to achieve the required quality of the scientific observations, the company defined the challenging performance requirements for the satellite design — for example, the alignment and pointing stability of the optical instrument. Extremely precise, long-term and uninterrupted photometric observations of bright stars in the visible range needs to be achieved. This is the way of discovering exoplanets as well as the means to characterize their composition and properties, for determining the potential habitability. The other core team partner, RUAG Space Switzerland, will be designing and assembling the optical bench, which forms the “basis” for the integration of the 26 high precision cameras, which are being developed and assembled by DLR and a consortium of various European research centers and institutes. This work will be carried out by the OHB experts at the OHB-Space Center Optics & Science in Oberpfaffenhofen near Munich in a special ISO Class 5 clean room. 1Planets are objects that are subject to the gravitational pull of a star and thus orbit it. Exoplanets or extrasolar planets are located outside the solar system and are thus not subject to the sun’s gravitational pull. Rocket Lab and NASA have carried out the integration of the cubesat payloads scheduled to launch on the Electron rocket in the first half of 2018 for NASA’s first ever Venture Class Launch Services (VCLS) mission. Rocket Lab’s fit check was performed between a Rocket Lab Electron Payload Plate — the interface between Electron and the payloads — and a series of Tyvak Nano-Satellite Systems and Planetary Systems Corporation dispensers. Teams from Tyvak and Rocket Lab participated in the fit check. The flight will constitute the smallest class of dedicated launch services used by NASA and marks a significant milestone for Rocket Lab in providing such access to space for a NASA-sponsored mission of small satellites. The launch is manifested with innovative research and development payloads from NASA and educational institutions that will conduct a wide variety of new, on orbit science. 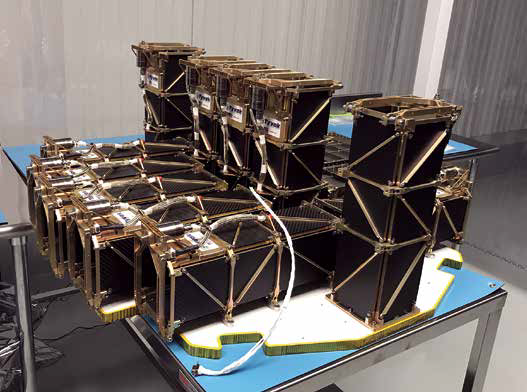 Applications of the cubesats booked on the mission include research such as measuring radiation in the Van Allen belts to understand their impact on spacecraft, through to monitoring space weather. Big ideas used to require big rockets, but thanks to the miniaturization of technology, the smallsats of today can conduct innovative science that helps better understand the Earth and the universe. Before Rocket Lab’s Electron vehicle, launch opportunities for smallsats were mostly limited to rideshare-type arrangements on large launch vehicles, flying only when space was available on NASA and other launches. This can be impractical for some small satellite payloads, as they are at the mercy of the primary payload’s schedule and desired orbit. According to the company, Rocket Lab’s Electron is the only private, small launch vehicle currently flying to orbit and offering the dedicated flights tailored to these small payloads. Ten cubesats manifested on the mission are receiving their access to space through a NASA initiative called the Cubesat Launch Initiative (CSLI) and are part of the 19th Educational Launch of Nanosatellites, or ELaNa-19. The program recognizes that cubesats are playing an increasingly larger role in exploration, technology demonstration, scientific research and educational investigations. These miniature satellites provide a low-cost platform for research and commercial applications, including planetary space exploration; Earth Observation (EO); Earth and space science; and developing precursor science instruments like laser communications, satellite-to-satellite communications and autonomous movement capabilities. The recent payload integration process, which took place at Rocket Lab USA’s facility in Huntington Beach, California, involves conducting final spacecraft checks and preparations before the smallsats are loaded into dispensers that protect the payloads during launch, then deploy them from the Electron vehicle once in LEO. 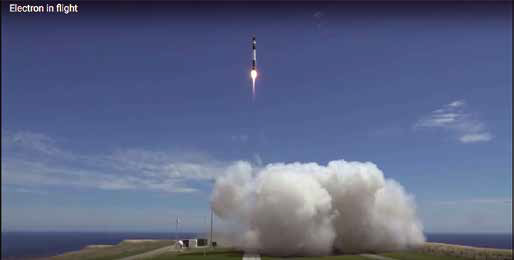 The integrated payloads will be shipped to New Zealand for mating onto the Electron launch vehicle in coming weeks, before a launch from Rocket Lab’s private orbital launch facility, Launch Complex 1. The spacecraft was designed, manufactured, tested and integrated almost entirely in house. The firm’s Redmond, Washington, facilities provided the team the opportunity to prototype and develop all of the hardware under one roof. In the weeks following launch, the team managed the mission, even though the spacecraft was fully autonomous and able to execute all functions independently. At every critical check point, Arkyd-6 communicated with the team. The firm’s MWIR instrument is a broadband imager that spans 3 to 5 microns within the infrared region of the electromagnetic spectrum. This region is sensitive to the presence of water — including that in hydrated minerals — and thermal energy, allowing the smallsat to see elements that are not visible to any other private satellite in space. 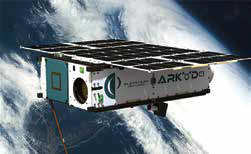 During the mission, the imager was used as a tool to search for the presence of water and other economic signatures on Earth; however, the company’s focus is to find the presence of water beyond Earth. Earth-i has released the first video taken by their VividX2, the technology prototype for its Vivid-i constellation. Launched on January 12, 2018, VividX2 is the world’s first commercial satellite able to provide full-color video of life on Earth. Weighing 100 kg. and measuring approximately 1 cubic meter, VividX2 is orbiting at 505 km. above the Earth and traveling at approximately 7 km. per second. 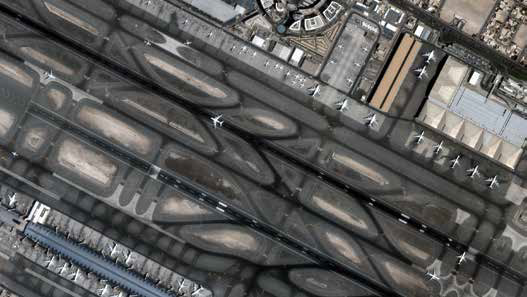 At the heart of the satellite is an Ultra High Definition (UHD) camera that captures high-resolution images for any location on Earth — and also films up to two minutes of video at a time as the satellite passes over each target location. The newly released video footage was taken as VividX2 passed over a range of targeted locations under the craft’s sun-synchronous polar orbit. The clips show videos of numerous different locations across the globe, and some of the intriguing new insights that can be quickly derived from the video. These first sequences represent just a fraction of the data already collected by VividX2 and demonstrate Earth-i’s ability to deliver an unprecedented level of detail in Full Motion Video (FMV), while also extracting still imagery to meet an ever-wider range of needs. The current VividX2 mission is the product of a unique collaboration between Earth-i, the Ministry of Defence, Defence Science and Technology Laboratories (DSTL) and Surrey Satellite Technology Ltd (SSTL), all of the UK. Richard Blain, the CEO of Earth-i, said that commercial color video from space represents a major breakthrough for the industry and a world first. This initial footage shows what is now possible — with more videos being acquired every day. The depth and quality of data the company can now acquire takes Earth Observation (EO)-based big data analytics to a new level. The way Earth-i captures video allows for a broader range of contextual insights to be derived than is possible with traditional still imagery. He added that processing techniques, such as image stacking, can be applied to high frame rate video to increase effective resolution to levels as good as 60 cm. for still and video imagery. With the rich data being received from VividX2, the company is improving and developing advanced data analytics, new capabilities and insights from intelligent platforms, including the use of computer vision and machine learning. Graham Turnock, Chief Executive of the UK Space Agency, added that the UK has a long history of innovation and is now demonstrating the world’s first commercial satellite that can capture full color video of Earth from space. With applications ranging from defense to disaster response, this is a great example of the strength of the UK space sector, which the agency continues to support as part of the Government’s Industrial Strategy. 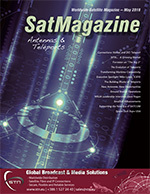 Sarah Parker, the Managing Director of SSTL, noted that successful acquisition of the satellite’s first color video from space is a pivotal moment in the development and deployment of this new technology — work has already begun on the manufacture of the next batch of five production satellites for Earth-i’s Vivid-i constellation while they develop new applications from a stream of video data from VividX2. Earth-i is also investing heavily in its big data analytics systems to enable easy acquisition and analysis of imagery, and the use of advanced algorithms and machine learning to extract further value from the unique data gathered by its constellation.